Depending on where your hot tub is located stepping outside may bring grit into your spa, even with flip flops on your feet may get grass, grit or stones stuck to them which you then bring into your hot tub. 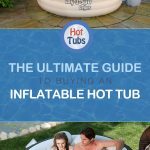 The Happy Hot Tubs Foot Bath for Hot Tubs and Swimming Pools is a simple tray that you fill with water and place next to your spa. When you get in you step into the tray which is filled with water, removing any grit or grass, then you can get into the spa. 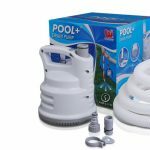 This prevents the stones and grit from being brought into the hot tub where it may damage the lining, collect at the bottom or in the pump. 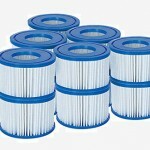 It also helps to keep the water clean and debris free. With kids it is easy for them to keep hoping in and out of the spa and on a summers day they may not want to wear shoes or flip flops, so before getting in you can tell them just to jump in the foot bath tray and then get in. This is a simple routine that will help keep the hot tub clean and grit free. 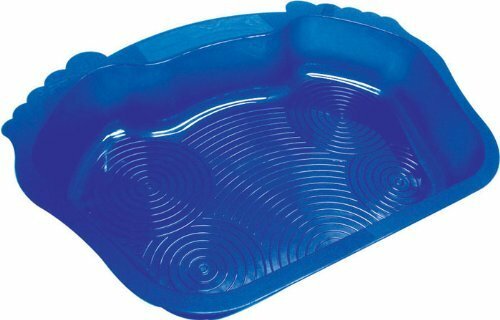 The durable FootBath is designed to keep the grit out of your Hot Tub, measuring 55cm x 40cm x 9cm tall it comes in a deep blue colour and has a feet shape to it, at the bottom is a raised pattern that allows the grit to easily come off your foot and stay at the bottom of the tray. The tray is priced at £12.99 which compared to a simple washing up bowl you could also use it isn’t cheap, however for kids it is great and they are more likely to use something like this, which in the long run will keep your hot tub cleaner and ensure it stays healthy. 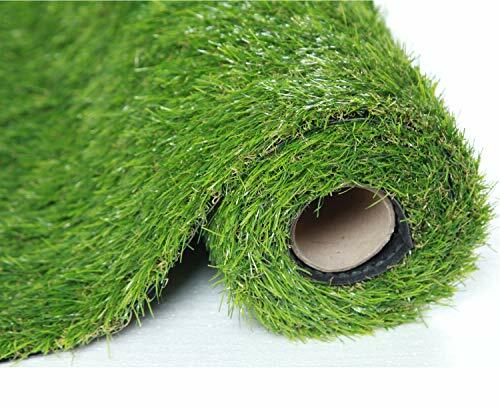 Another clever way to keep your spa clean is to place it on some artificial grass. This will help prevent dirt and stones being passed into the spa when getting in, as it will get stuck and brush off on the grass, almost like a mat. Buying a small roll is enough to create a nice area infant of the spa, or you could roll it all out and set up your hot tub on this.